This was both our first project and probably the project that has taken the longest time to execute, as we were learning how to trust each other and to exchange drawings and work on them. The project began in earnest as a series of musical compositions, that is, CD anthologies of swapped tracks – lined up in as effective a mode as we could orchestrate. We made many CDs, but the drawings come out of two eighteen-track compilations that we then used to stimulate our drawing conversations. 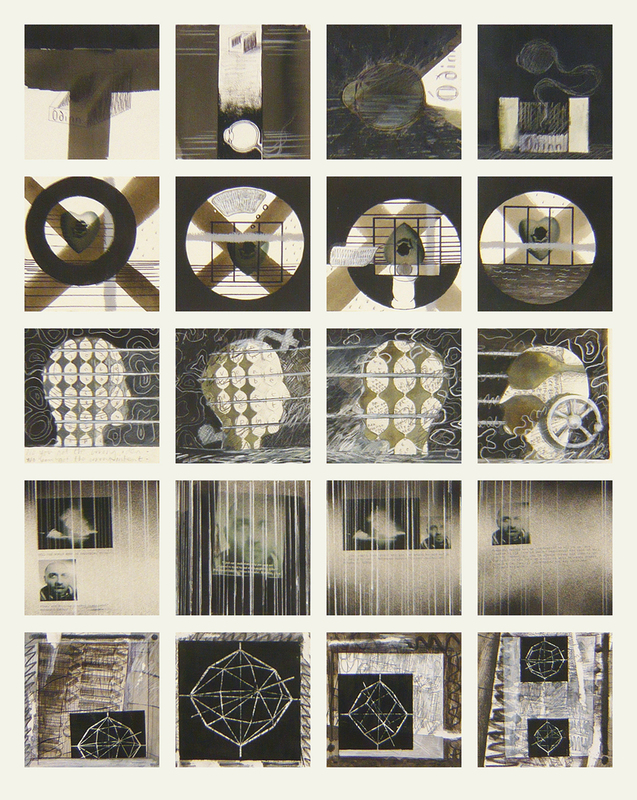 Time past and the movement of time has been revisited in many of the drawings and often harnessed metaphorically through water related imagery. Chance events in the drawings often elevate a slice of time that can subsequently just as easily be erased or reactivated, in order to foster fresh consideration. Sounds, words, nuances, expressions in the music acted as triggers for memory and drawing dialogue that meant the imagery often evolved in unexpected ways. 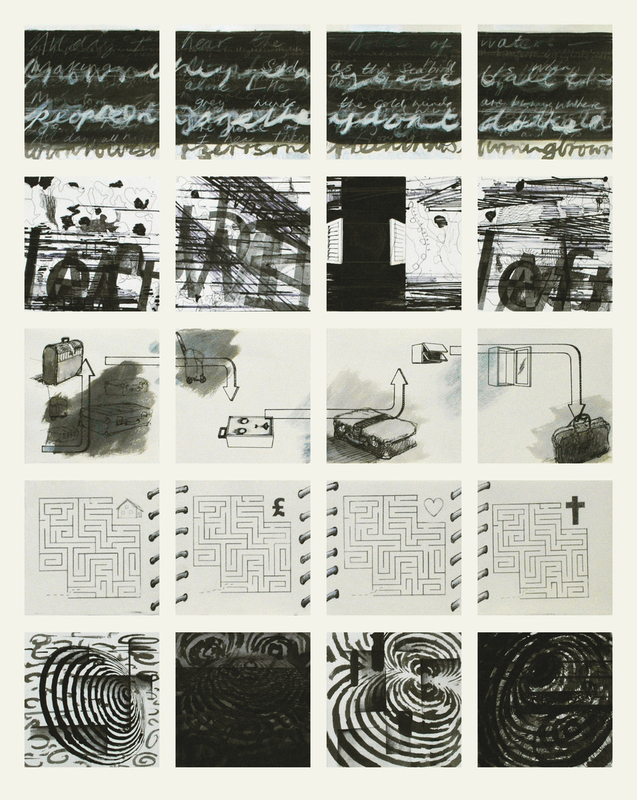 The project began initially with a seven-drawings per song format, but subsequently we found that we could form our responses in four. There was no logic to this other than a visual and intuitive logic; in effect, the evolution of making decided the final strategy. On completion of all the drawings, we began the arduous task of grouping the different sets of four and exploring the nature of what format to use. 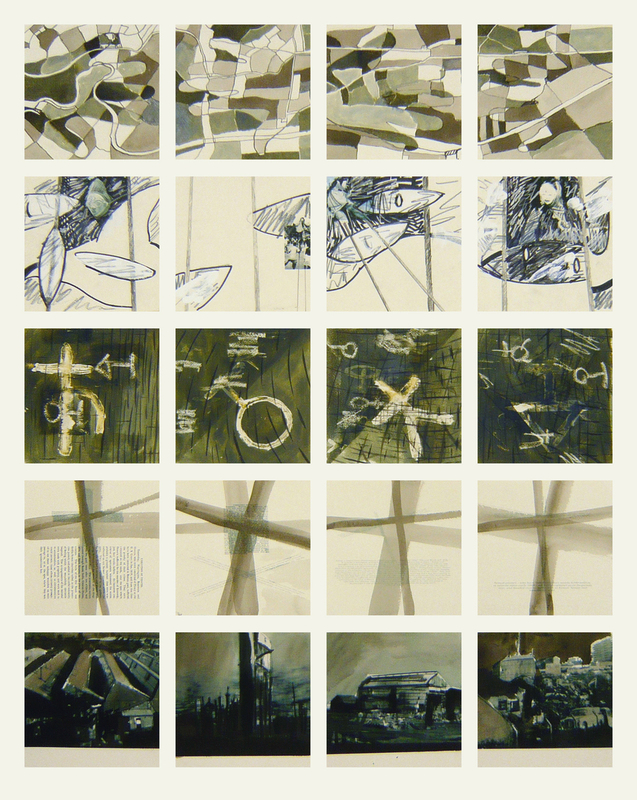 The drawings were chosen to be together, based on setting up the most pertinent conversation dynamics between any given set of five; although various alternative formats both more and less than five were also considered. 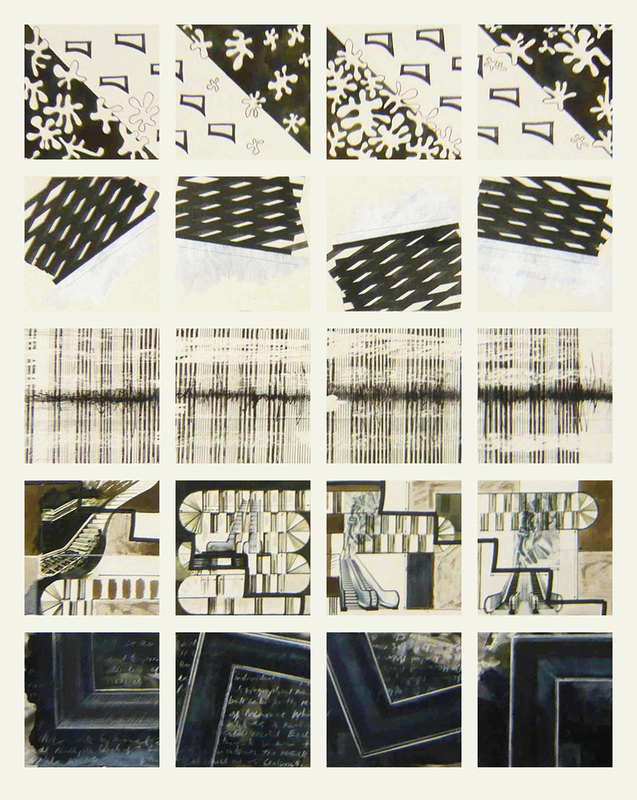 2010-12, Mixed Drawing Media on torn Saunders Papers, individual drawings 19/20 cm square, complete panels 137 cm h x 105 cm w.